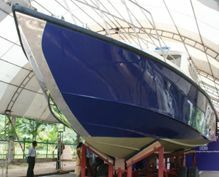 The Boating Industry has now transformed from traditional boat manufacturing into a high class boat manufacturing industry. 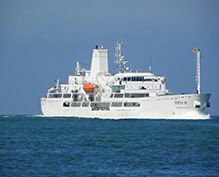 In recent years foreign companies have invested in production of yachts, speed boats as well as kayaks, rowing boats used in water sports for the export market. 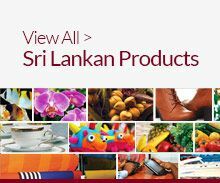 The products and services offered belong to a wide range, from boats of different types and related but specialized services. 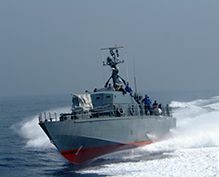 The different types of boats may fall in to products such as yachts, pleasure and leisure boats, fishing boats, passenger, sports, rescue, coast guard, patrol boats, fast attack crafts and general purpose vessels. 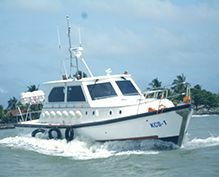 Pre-production services include boat design, lofting,plug making, mould making, and supplying of engine, navigation and communication equipment, refrigeration systems, sail makers, and fire and safety equipment. 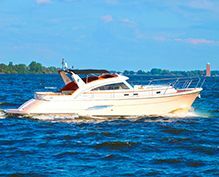 Post-production services include boat storage and transport devices, diving and fishing equipment, boat and engine maintenance and repairs. 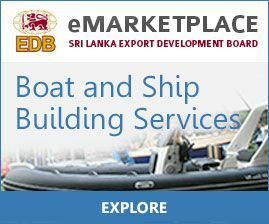 There is also a well developed ship building and ship repair industry in Sri Lanka.